Trusted Lawyers. Strong Defence. Proven Results. We care about you, and your case! 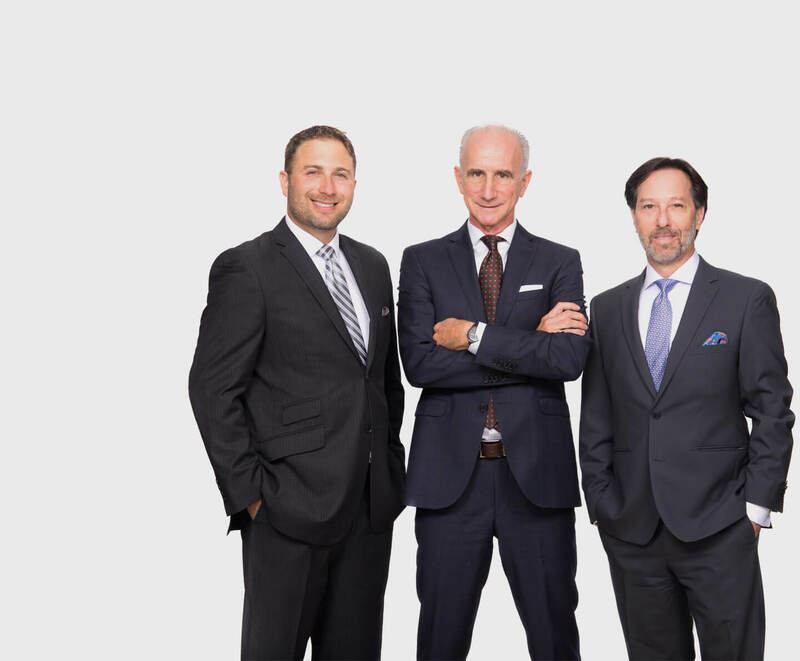 With more than 70 years of combined courtroom experience, RSJLAW provides exceptional hands-on representation for all manner of criminal and regulatory cases. Call or email us at any time to schedule an appointment. Call or email us 24 hours a day, 7 days a week, for help. The 24th annual Writers and Friends fundraising event is coming to Port Hope and features an afternoon with four Canadian mystery writers. Visitors are invited to meet Beverley McLachlin, a novelist and former Chief Justice of the Supreme Court of Canada who will be reading from her book Full Disclosure ; Donna Morrissey, a writer, winner of the 2017 Arthur Ellis Awards of Excellence in Canadian Crime Writing, and Best Novel Winner of 2017 Thomas Raddall Atlantic Fiction Award, reading from her book The Fortunate Brother ; Jack Batten, a former lawyer, author, journalist, reviewer, and radio personality, reading from his book Crang Plays the Ace ; and Robert Rotenberg, a criminal lawyer and writer, reading from his book Heart of the City . Do alleged sexual assault victims need lawyers? A sexual assault trial playing out in Toronto is raising questions about whether victims of sexual assault should have their own lawyers. 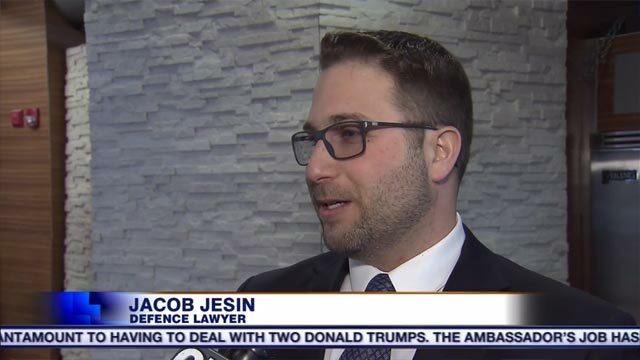 Criminal defence lawyer Jacob Jesin reacts to reports that Jian Ghomeshi won’t be facing a second sexual assault trial because the former CBC broadcaster is expected to sign a peace bond on Wednesday. 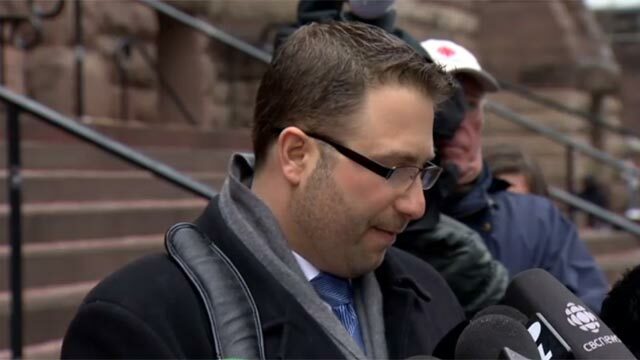 Jacob Jesin, lawyer for the first complainant testifying against Jian Ghomeshi, read a statement on behalf of his client Thursday, following a judge’s decision to find the former CBC radio host not guilty. 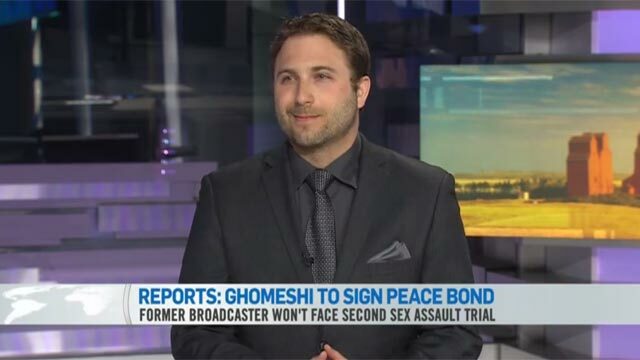 We offered free legal assistance to complainants in the Ghomeshi matter. We did so because we felt strongly that complainants (including those struggling with the decision of coming forward with a formal complaint) should receive the advice and benefit from having their own independent legal counsel, in large measure, to facilitate and enable an informed decision. Jake Jesin’s comments on courtroom sketch. Our concern was that the release of the infamous “bikini photo” along with the sketches that had been published in the media could inadvertently identify our client. Jesin said he was happy with the judge’s ruling. His co-counsel, Alvin J. Shidlowski, had argued in court that if the image was published, even with part or all of the witness obscured, it could be used to identify her via a Google Image Search. I would like to thank Jacob Jesin (“Jake”) of Rotenberg Shidlowski Jesin for being an outstanding lawyer. Always responsive and reachable, Jake helped me immensely throughout this high-stress, high-conﬂict situation. Jake was reassuring, knowledgeable, and conﬁdent and after our ﬁrst conversation I was able to regain a sense of calm. A true professional, Jake was always on time, organized, and in communication. I always felt well informed and had a good understanding of the next steps. Jake managed my expectations well and demonstrated conﬁdence, leadership, and expertise in his ﬁeld. Jake helped me stay positive and his level of support was unwavering. Jake is exceptional and I am deeply grateful to have had him as my legal counsel to navigate the court system. I could not be happier with the outcome of the case. I have utmost conﬁdence in Jake and I give my highest recommendation to Rotenberg Shidlowski Jesin. Y was a professional charged with domestic assault. As a result of the charges, Y’s license to practice was in jeopardy. Through a careful review of the charges, and collection of evidence to support Y’s narrative, we were able to convince the Crown Attorney that there was no reasonable prospect of conviction in the case, and the Crown withdrew the charge against Y. When my family and I needed lawyers we called upon RSJ law firm. Robert, Alvin and Jacob treated us as family not clients. They helped us in the most crucial times. They make you feel as if you are their family. From start to finish they honour this relationship. They are wonderful lawyers and I strongly recommend them. A family dispute led to charges against a mother, daughter, and son, for fraud, theft and assault . Three lawyers from RSJLAW stepped in to represent each one of the accused family members. Together we examined the evidence gathered by the police and provided oru legal opinion to the Crown Attorney that the allegations were more appropriate for the civil court process. The Crown Attorney agreed and withdrew all charges against the clients. My life took a sudden and drastic turn when I was falsely charged with sexual assault. It was a traumatic and highly stressful time for me and my family, as the daunting task of having to enter the criminal court system was overwhelming. It was at this time, that my lawyers from Rotenberg Shidlowski Jesin stepped in to both put together my case and provide me and my family with the necessary personal support. They were strategic, organized and very efficient as they navigated my case through the court system, explaining the process along the way and comforting me during some stressful moments. When it was all said and done, they had proven my innocence, the charges were withdrawn and they had shown a deep concern for my well-being the entire time. Client was charged with this offence against his young child in the midst of an acrimonious custody battle with his ex-spouse. Together we worked as a team with his family lawyers. We studied the evidence and gathered independent information that convinced the Crown Attorney that the allegations were false, and were being used as a weapon in the custody dispute. The Crown ended the prosecution of the client and he is now happily reunited with his child. My lawyer always kept me fully informed of my legal situation and gave me a clear understanding of the implications of various legal approaches. I received excellent support from him at every stage and my outcome speaks for itself - all five charges withdrawn. Mr. W. was charged with assaulting his spouse and then assaulting the police officer who came to arrest him. We interviewed other witnesses to the incident who were able to provide evidence that the spouse had suffered a mental breakdown at the time. We were able to show that our client had not assaulted her and that the complainant had likely hallucinated the event. In addition, after our detailed review of the police notes, we discovered that the arresting officer had falsely alleged in his notes that Mr. W. had assaulted him, while at the same time suppressing the notes of the junior officer who was present at the time and did not concur with the assault. The charges were withdrawn after the presentation of this overwhelming evidence to the Crown Attorney.